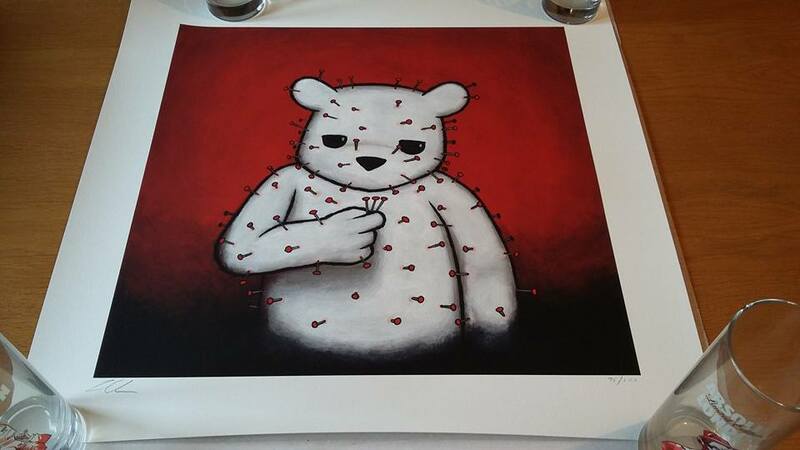 Your chance to get your hands on one of the most iconic images painted in Weston-Super-Mare, outside of Dismaland. 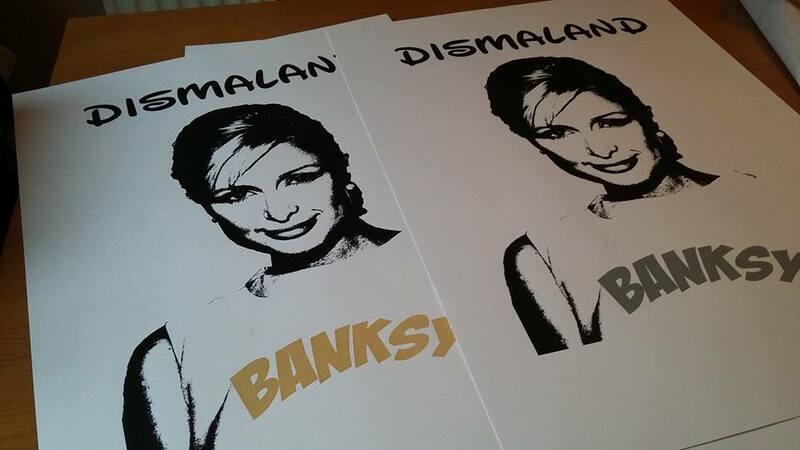 This piece of art was created to raise awareness for the Birnbeck Pier Trust and has since featured in the media, the original was even stolen as it was painted on the last day of Dismaland as mistaken for an original Banksy and has since been returned. 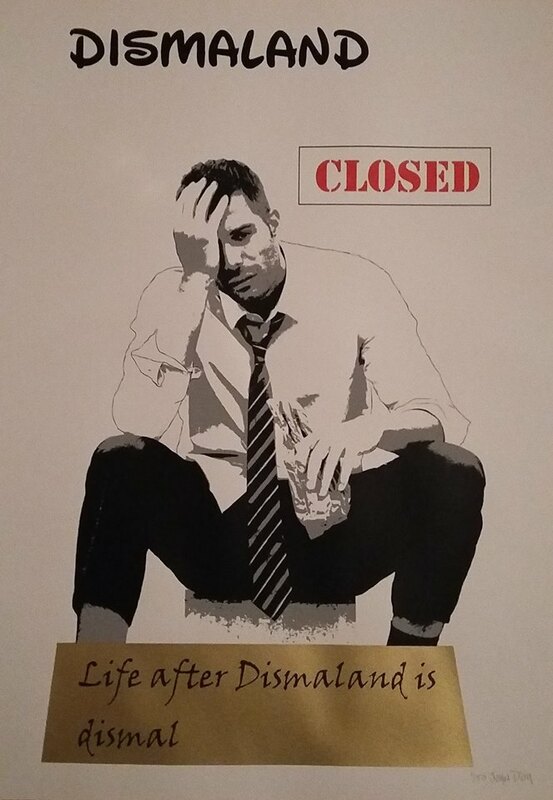 This print is a quality hand screen print on 300gsm Snowdon cartridge paper, measuring 500mm x 700mm, the plaque 'Life after Dismaland is dismal' is gold. The gold edition is limited, only 50 will ever be produced. 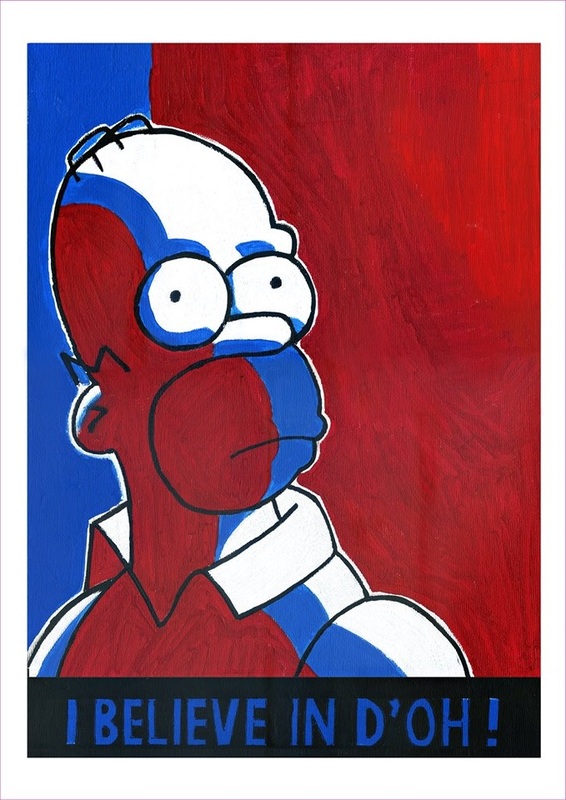 without the express written permission. 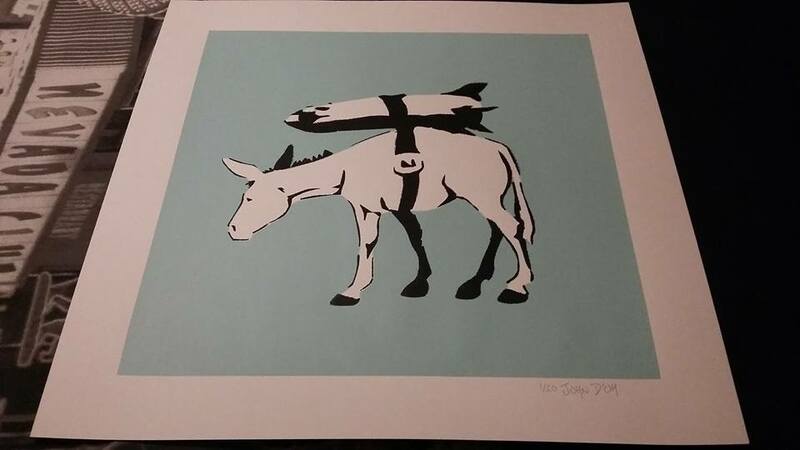 Created and sprayed around Weston Supermare at the time of Banksy's Dismaland Show.My version of Banksy's Famous Elephant bomb piece but as his show was in Weston I incorporated a famous Weston Donkey. 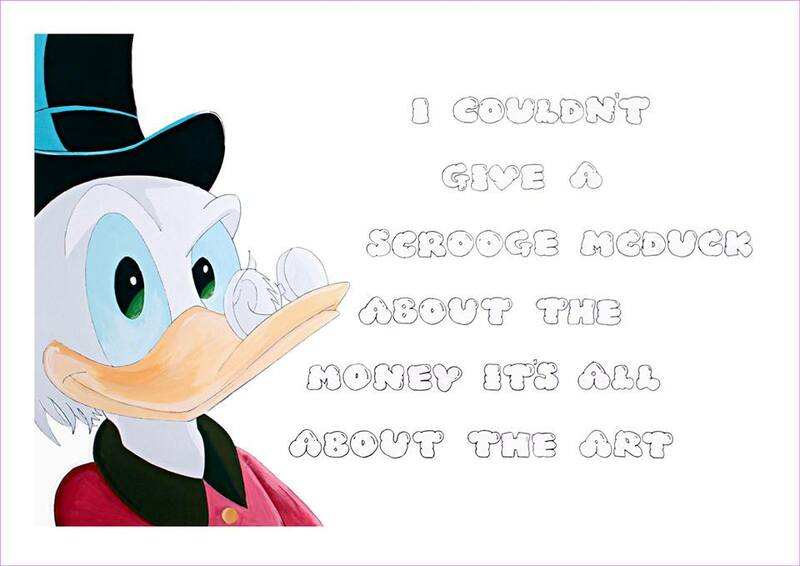 This piece featured in the media at the time of the Dismaland Show. 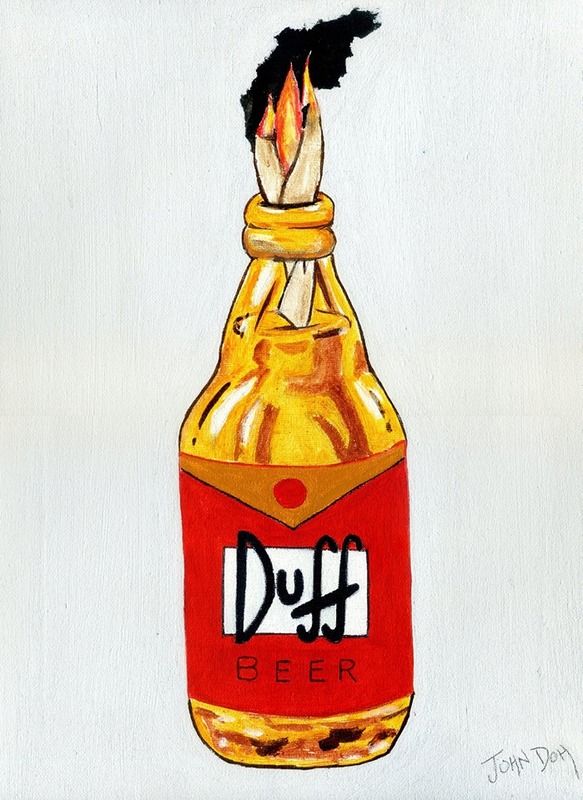 The print is a mixture of the Banksy Tesco value Petrol Bomb with a little John D'oh humour injected taken from the original hand painted acrylic on canvas and converted into a high giclee quality print. 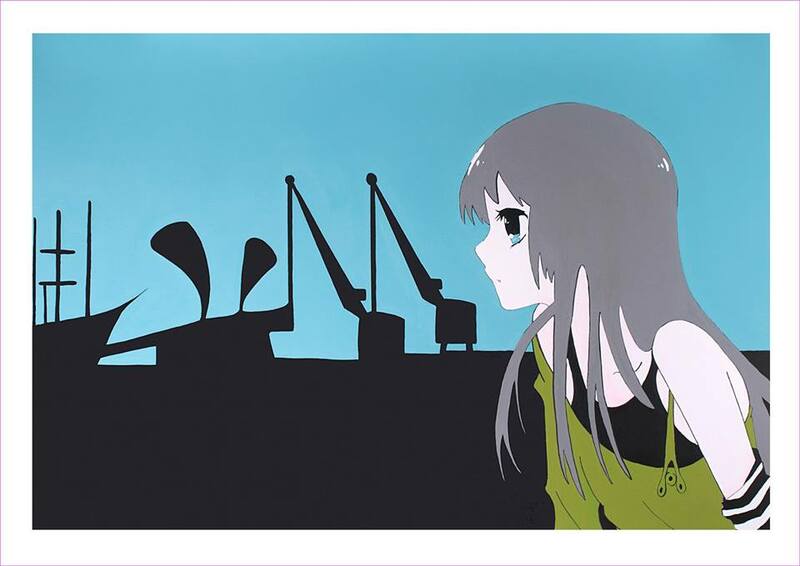 Hi quality giclee print printed on qulaity paper .a Bristol scene depicting Bristol's Suspension Bridge. 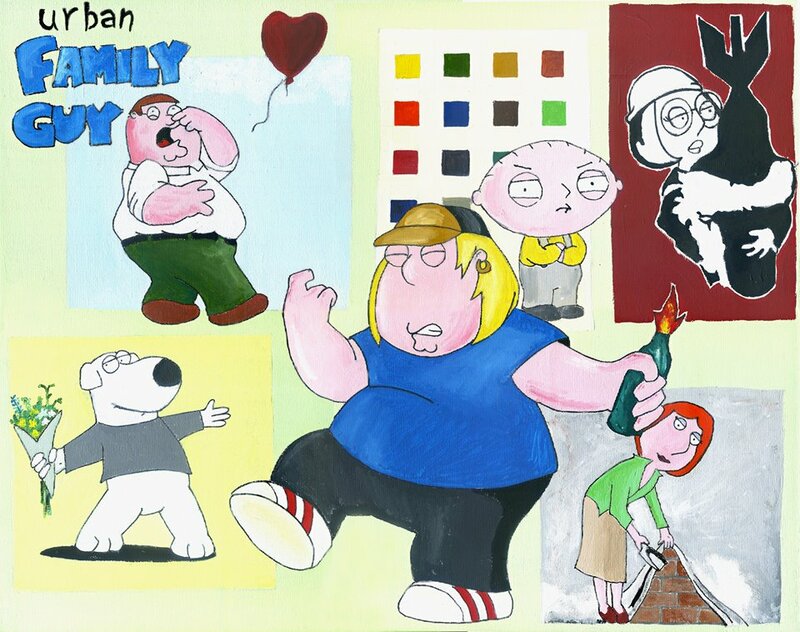 Hi quality giclee print printed on qulaity paper .Featuring members of the cartoon Family Guy in famous urban art poses. 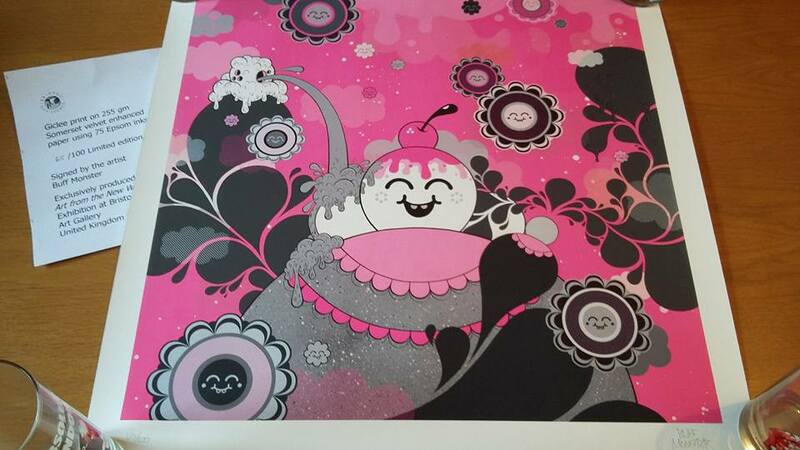 Hi quality giclee print printed on qulaity paper .